Professor Robin Morris is to receive this year’s Lifetime Achievement Award from the British Psychological Society’s Professional Practice Board. 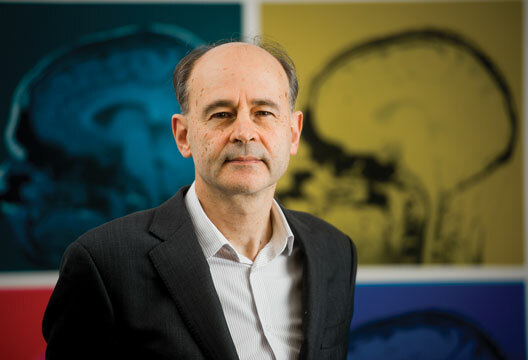 Professor Morris has had a distinguished career nationally and internationally, for the last 26 years working at the Institute of Psychiatry, Psychology and Neuroscience (IoPPN) as head of clinical neuropsychology in the Maudsley and Bethlem Hospitals and then in King’s College Hospital, London. He is also lead for neuropsychology in the newly formed Neurosciences Clinical Academic Group in the King’s Health Partners Academic Health Sciences Centre. Combining clinical work and research, he has applied his expertise in neuropsychology to researching a range of neurological and psychiatric disorders, including, more recently, people with dementia and cerebrovascular disorders. His work in the IoPPN has also encompassed epilepsy, attention deficit hyperactivity disorder, psychosis and eating disorders. His research interests have included developing cognitive neuropsychological models in complex areas such as the ‘self’ in relation to memory processes and integrating neuropsychological and psychosocial frameworks concerning how to better understand neuropsychological disability. We plan to hear more about Professor Morris’s work with dementia in a future issue.